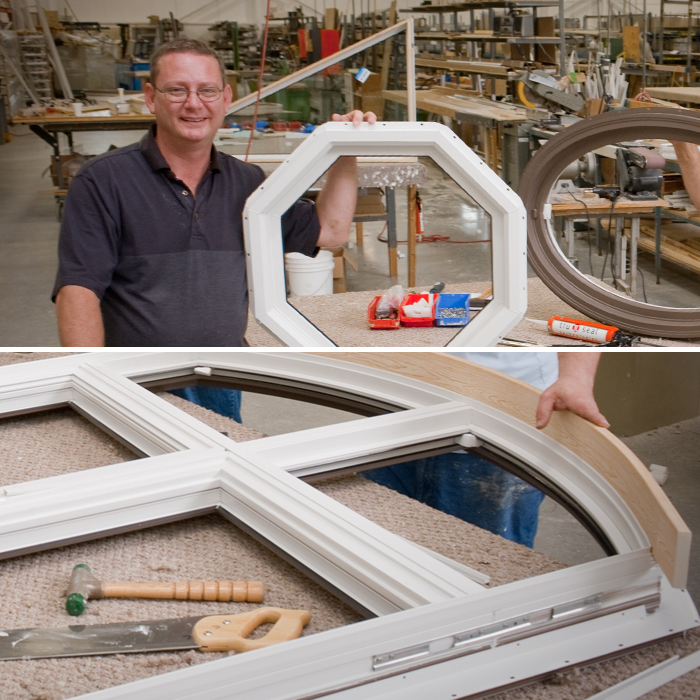 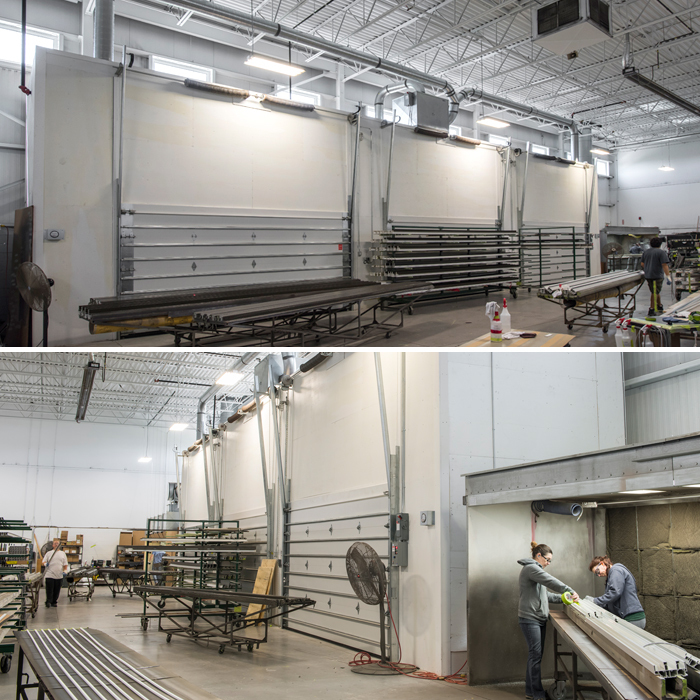 Our manufacturing experience and capabilities are evident in every window and door we produce. 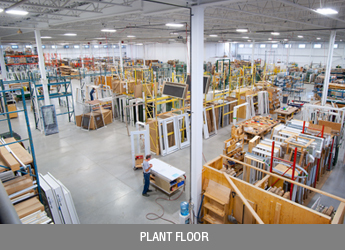 At our 95,500 sq. 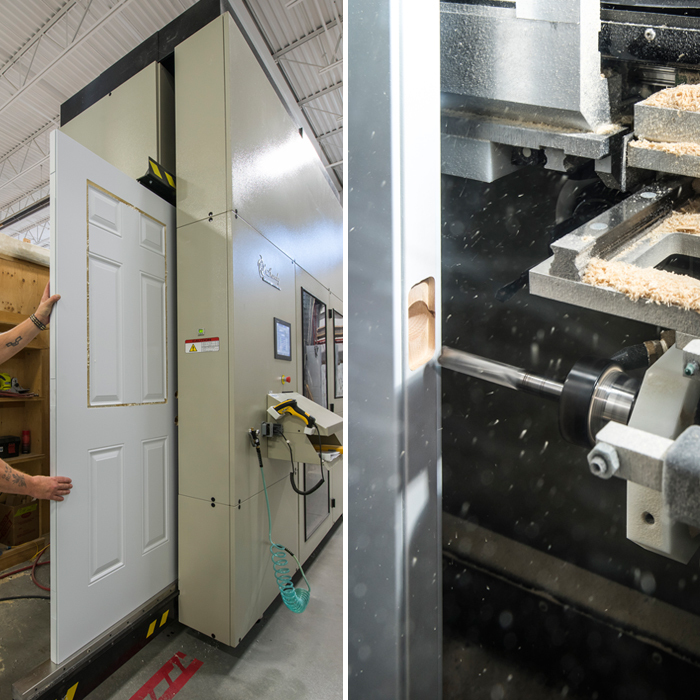 ft. manufacturing facility in Kitchener, Ontario, we employ over 70 talented men and women who, using a unique combination of hi-tech machinery and skilled hand craftsmanship, ensure that our products are built to exceed our client’s expectations. 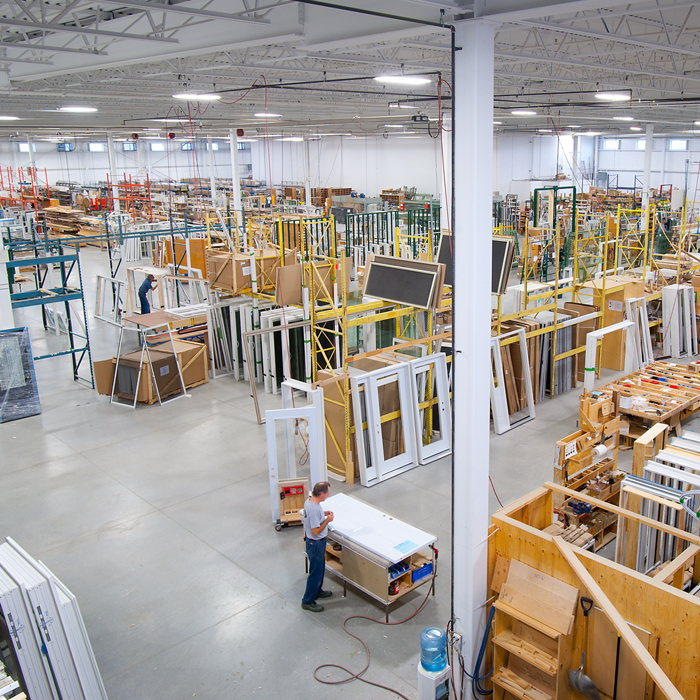 At Strassburger Windows and Doors all our fenestration products are made using components – vinyl extrusions, glass and hardware – manufactured in Canada. 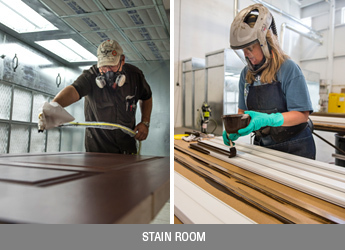 Our environmentally friendly manufacturing processes include the use of water-soluble paints and stains. 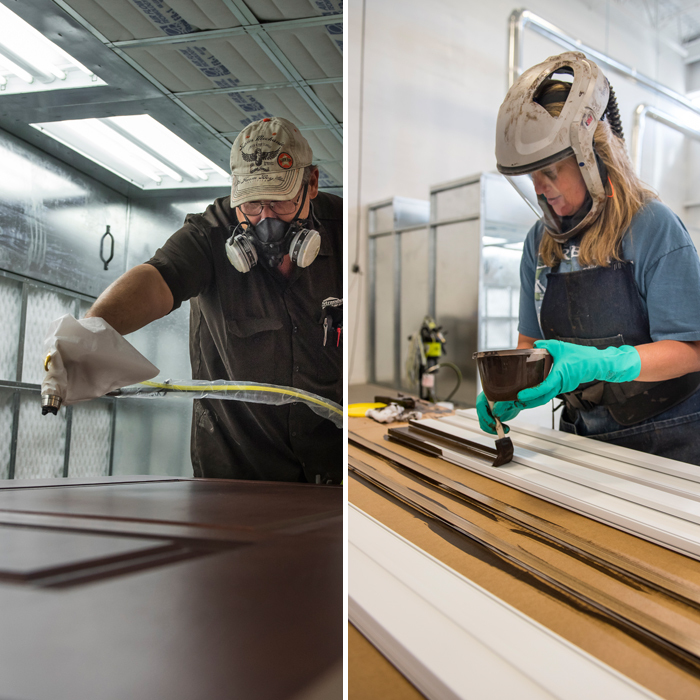 In our controlled finishing departments this not only ensures the safety of our employees and our environment but also a superior product finish for our customers. 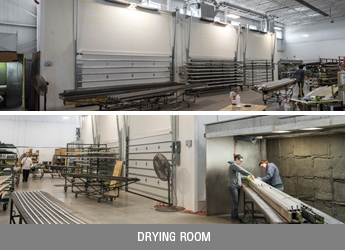 Large capacity drying rooms create a dust free environment allowing us to control the drying rate to ensure the optimum finish. 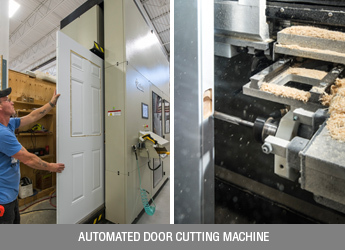 Computer controlled high-speed cutting heads create precision openings to ensure the exact fitment of glass and hardware. 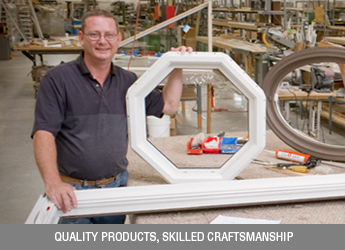 Continuous improvement in technology and employee skills allows us to provide the highest quality products possible.